Key business points from Michael Moretti, founder of THE Aesthetic Academy, to owning a successful aesthetic practice - ideal for medical spas or any physician who wants crucial points to managing their practice. Senior Account Manager of "If Marketing" speaks with American Health and Beauty about strategies in office and online for a successful practice. The premier medical aesthetic conference in the UK, FACE, kicks off their conference this year at the historic Royal College of Physicians in London on Friday, June 24, 2011. Selfies have revolutionized plastic surgery, changing how we perceive ourselves and how we want to be seen. Gone are the days when patients go to their plastic surgeon with a celebrity's photo... welcome the filtered selfie. In a new Chicago survey it was revealed that Amy Poehler has the most coveted nose followed by Tina Fey as a close #2. 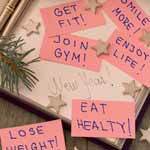 How plastic surgery may help men and women achieve New Year's resolutions. Social media is no longer an option for plastic surgeons and aesthetic practices... to remain competitive with search engine marketers, doctors need to blog and be active in social media. Top 10 Cosmetic Procedures on AmericanHealthandBeauty.com for November shows Zeltiq, SmartLipo and Thermage as the big winners! "The Doctors" launch the Halt the Salt campaign to get Americans to kick their high sodium habits. Ideal Me, a Portland, Maine-based medical spa, today announced the launch of an optimized redesign of their website by Hall Web Services of Scarborough, Maine. The site keeps the look and feel of the previous site, designed by Portland, Maine's AdMedia Communications, while implementing Hall's strict guidelines for organic search engine friendliness and local search optimization targeted for indexing in Google Local and Yahoo Maps! search engines. YouTube star Nalts teams up with Dr. Alan Bauman to raise America's IQ on hair loss. Aesthetic Trends, Marketing Tips, PR Advice and much more! We had a great time at the annual meeting of ASAPS and came back with some spectacular information. Keep checking back for the best aesthetic news anywhere. As we recover from yesterday's food coma, it's a good time to reflect on the past week..... and SHOP! Getting the right patients to your door is an important facet of running a successful aesthetic practice. The 2010 American Society for Aesthetic Plastic Surgery was by far the most "tweeted" and "Facebooked" meeting of any the major society meetings to date. Opening and managing an aesthetic practice or medical spa can be a daunting task. Acara Medical Spa Consultants assists these practices from the ground up to build a successful business. Breaking down the barriers to hair loss education.